When a customer orders a product, be it online, in a store, through a catalog, or any various method – the customer is expecting to receive that order accurately, quickly, and without damage. These are expectations of the end customer and the purpose of a “fulfillment center” is to fulfill those expectations. 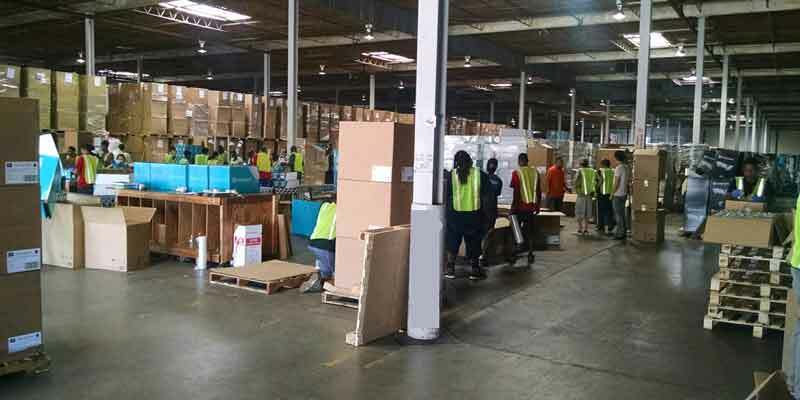 Thus a fulfillment center is a place where customer orders are processed and shipped. The term “Fulfillment Center” (or “fulfillment house“) was first coined in the 90’s. As online stores have increased, so has the importance of fulfillment centers. In the actual processing of an order, an employee (or increasingly a robot or automated bin and conveyor system) goes to the location of the stored product (“bin”) and picks (“pulls”) the product out. The employee does this for every item in the order. The items are then packaged for shipping, labeled, and loaded onto a truck for delivery or transport. The act of “picking” products has created another name for the service – “Pick and Pack Services“. Fulfillment centers leverage economies of scale. For instance, on the simplest level, someone selling widgets out of their home could not warehouse, inventory, and ship product as efficiently as a large existing warehouse. Fulfillment centers typically are warehouses (but not all warehouses are fulfillment centers). Warehouses exist to store and distribute product and the larger the warehouse the greater the economies of scale. Fulfillment centers have a shared labor force and best of all, usually have better volume pricing on shipping. All of these factors add up to being able to receive, store, pull an order, process and ship faster and cheaper than alternative methods. Thus third party fulfillment centers can often fulfill a companies orders cheaper than the company itself. Therefore outsourcing warehousing and fulfillment has exploded in popularity. What Can BFS Services Do? BFS Services has several large warehouses in the DFW area. BFS provides short term or long term storage for your product and can store small parts or large units on racks and bins (or utilize ample open floor space). BFS has a custom inventory control system and web portal that helps you know your current inventory and when to up-order. The employees are trained in picking and packing your orders. The orders can even be packed in your own personalized boxes with personalized packing slips and shipping labels. BFS Services has numerous shipping options available including: small parcels, Less than load (LTL), and full truckload. BFS Services uses third party shippers like UPS, FedEx, USPS, and more. BFS Services has it’s own local delivery fleet and can ship parcel to truckload anywhere in the DFW metroplex or North Texas. Through special agreements with carriers such as ROC Transport and others, BFS Services can get your package shipped anywhere in the world in the quickest, most affordable manner possible.